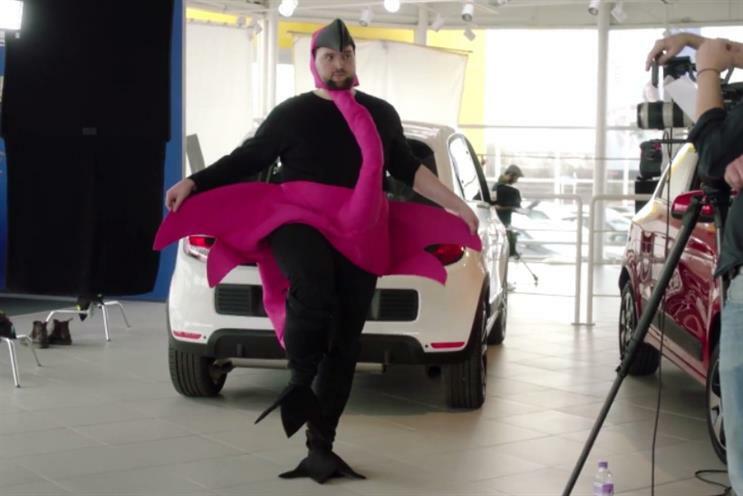 Renault has created a quirky if not slightly unusual video series to promote its Twingo model, featuring a pink flamingo, an animal stunt double and a demanding young woman singing about her ideal model. Among the 12 videos is a faux-documentary about Ringo the flamingo and his rise to fame to become the world's "baddest bird" and an awkward film showing an animal stunt double failing to convince a producer with his flamingo impression. The main video, shot in Broadway-style, shows a woman singing about her perfect car in a dealership only to be presented with the Twingo. Antoine Héry, digital marketing manager at Renault UK, said: "We wanted to create fun and engaging content that appeals to our target audience."